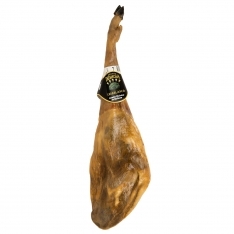 This acorn-fed iberico ham is a product of the highest quality, a pleasure for the senses. It comes from pigs raised in our pastures in the city and county of Rodrigo, feeding exclusively on the sweet acorns characteristic of the area. The result is an unforgettable and unmistakable flavor. 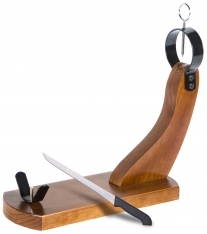 Thin slices of iberico ham cut by hand by a master cutter, giving you the pleasure of a freshly cut ham any time. 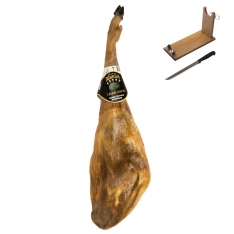 In Spanish, this product is called, "Jamón ibérico de bellota Ibéricos Dehesa Casablanca cortado a mano." 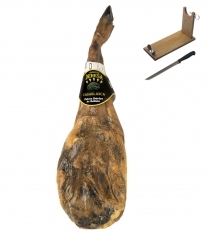 Format : This acorn-fed iberico ham comes in black packaging with a display window. Consumption : Consume within 3 months of purchase.